Home Blog CAN I USE OPTIONS IN MY IRA? Many people know very little about options and how they can be used to increase cash flow in an investment portfolio. 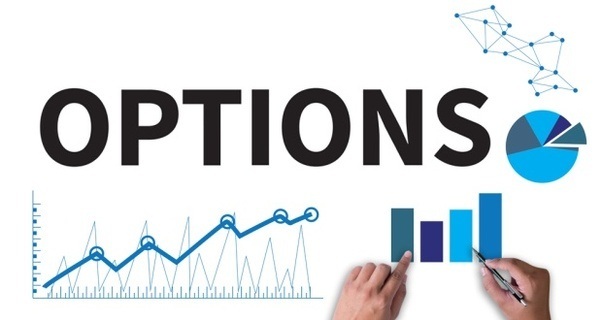 Others know about options but may not know that certain uses of options are permitted in their retirement accounts; or have been told that options are too risky for your retirement money. Here, we’ll take a look at what kind of option positions are permitted, and how you might use them to your advantage. First, we need to know that options are traded in an equities brokerage account. If it is IRA money, then the account must be set up as a self-directed IRA. Virtually all brokerages in the U.S. are happy to help you set up a self-directed IRA account. The account can be funded by new contributions (maximum $5,500 per year for people under 50, $6,500 otherwise). Or it can be funded by transfers from another IRA, or rollovers from a prior employer’s 401(k) or other defined-contribution pension plan. Some employer’s 401(k)s offer a Brokerage Link or brokerage option for part or all of the funds in the 401(k). Funds in that environment can have access to options also. To trade options, the brokerage account must be set up to allow for them. For a new or existing account, this is just a matter of filling out an options application. You will be sent a pamphlet called The Characteristics and Risk of Standardized Options. This outlines basic information on options. You will be asked to specify in your options application what type of option trading you want to do. Check all the boxes. You will also be asked about the purpose of the account. Make sure to check the box labeled Speculationalong with any others that describe the purpose of the account. Many brokers offer what is called a Limited Margin IRA. If available, make sure you select that option. The alternative is for your IRA to be designated as a Cash Account. The Limited Margin IRA allows more flexibility and is preferable. Even though the account is called a limited margin account, you will not be able to actually buy securities on margin (i.e., with borrowed money) in this account. The designation just gives us more freedom in the type and timing of transactions. An existing IRA that is in a self-directed account designated as a cash account can also be switched to limited-margin status. Speak to your broker about this. Once you have an account set up and funded, you will be ready to begin using it for option-enhanced investing. One strategy that any options-enabled self-directed IRA (or RSP in Canada) is permitted to use is the Covered Call. This is the first option strategy that many investors hear about, and for good reason – it works. In this position, you buy or already own shares of a stock or exchange-traded fund. You then sell a Call option on that stock or ETF. That call option gives the call buyer the right to buy your stock from you at a price that you have specified (the Strike Price). That right exists for a defined, limited period of time. The call buyer will pay you for this right, and the payment is yours to keep. If and when the call buyer exercises his/her right to buy your stock, they will at that time pay you the agreed amount (equal to the strike price). Your total proceeds will then be the strike price, plus the amount that you received originally for the call (known as the premium). If you selected a strike price that was above your price target for the stock and the option is exercised, then you will have sold your stock at a premium price – your target price plus the call premium. In many cases, after you have sold the call option the stock will not reach your target price by the time the calls expire. If that occurs, then the call buyer will never exercise the option. Call options are only exercised when the stock’s market value is greater than the strike price. In that case, you retain the stock, and the premium you received when you sold the call is clear profit. Here is an example. On Friday, June 29, 2018, the exchange-traded fund QQQ (NASDAQ 100 index fund) was trading at $172.32 per share. 100 shares would cost $17,232. Recent highs for QQQ were around $178. You may have considered it reasonable to believe that QQQ might regain those highs in the period before the next monthly option on July 20, which was three weeks away. If so, that price would be a good profit-taking opportunity. The profit on the stock alone in that case would be $178.00 – $172.32 = $5.68 per share. This would be a profit of 3.3% in 21 days. On June 29, call options on QQQ at the $178 strike price, which expired in 21 days, could be sold for $.60 per share. If you sold those call options, and the stock then did make it to $178 within three weeks and remained above $178 at expiration of the calls, then the calls would be exercised. With no action on your part, the 100 shares of QQQ would be removed from your account and you would be paid $178 in cash per share. You would now have your $5.68 per share profit; and you would also have the $.60 per share that you had originally received for the call. This extra $.60 would be gravy on top of the profit on the stock itself. In this particular case, your profit on the 100 shares would have been increased by about 10%, from $568 total to $628. What if QQQ did not reach the $178 strike price before expiration? In that case, the option buyer would never exercise the option. You keep the stock, and the $60 option premium as a bonus. You can then sell another option that expires in the following month. Rinse and repeat. In fact, in any situation where you had a plan to sell the stock at a target price, you will better off by selling the call than not selling it. You simply become richer by $60 than if you had not sold the call. This is true whether the stock goes up, down or sideways. The only rare exception would be that the stock skyrockets past the 178 strike price. In that case, any movement above $178 does you no good because you are still obligated to sell the stock at $178. But if $178 was your target, you would not have benefitted from such a move in any case, since you would have sold at your $178 target. As I mentioned above, the covered call strategy is one that can be done in any self-directed IRA or RSP that is set up for options. It is something that is well worth your consideration as a way to increase the rate of return on your retirement funds – that’s why it is one of the key strategies in our Proactive Investor program. Call you local center to learn more.